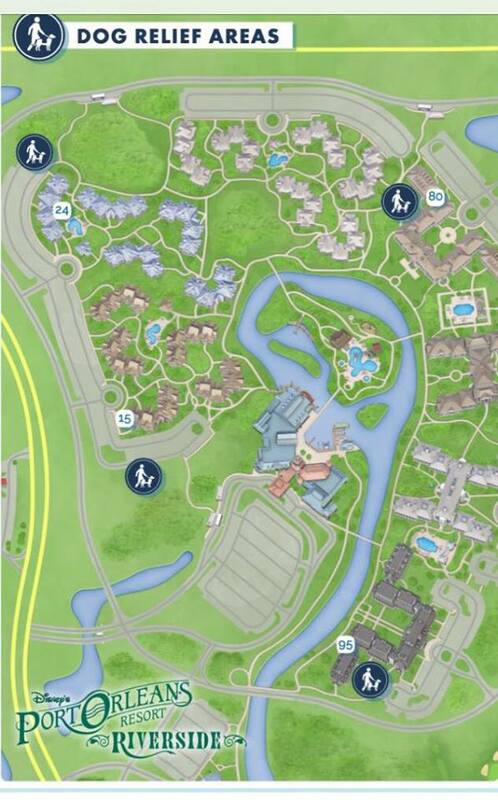 Disney allows guests to bring their dogs to four of it’s resorts. While service animals were always permitted, Disney is allowing pets that are not service qualified in four of their resorts. There will be approximately 250 dog-friendly rooms in those resorts. This will be an option for those who don’t want to leave their pet friends behind. (See the Allergy Alert below). This may also be a great solution for visitors with emotional support dogs. 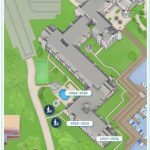 While service dogs can stay in any Disney resort, emotional support dogs do not qualify because they are not covered by the Americans With Disabilities Act (ADA). How does this pet guest program work? If you wish to bring your dog with you to Disney (up to two dogs per guestroom), they will be charging an extra fee that they’re calling a pet cleaning rate. This will include a deep cleaning after guest is checked out. What that entails will probably vary depending on what housekeeping finds, but I’ve been told by a Cast Member at Port Orleans that this should probably not include the need for extra chemicals or pesticides. Allergy Alert: Those with allergies should be aware of this new policy. We’ve been getting conflicting stories about “dog-free” rooms in the four resorts. 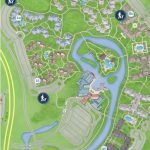 I spoke with Cast Members behind the scenes in both Port Orleans Riverside and Yacht Club Resorts. We were told that only certain areas will have pets allowed in them, and guests can request a room in a non-pet allocated area. We were told that it should work the same way in the other participating resorts. But… After we contacted these cast members, a very reliable source contacted me to say that the opposite is true. They were told that there will be “dog friendly” areas designated, but when they’re full, pets can be placed in undesignated areas. So any room in the four resorts could house dogs according to what they were told. So what does that all mean to you? 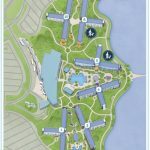 At this time we know that Disney will allow you to request a room that’s in an area not designated for pets. Disney will try to accommodate your request, though they never make guarantees. Will that be a 100% guarantee that no dogs have been in your room? We’re not sure. Tip: You can request a deep allergy cleaning of your room prior to your arrival. Disney will be giving special treats to their dog visitors at check-in with Pluto’s Welcome Kit. It will include a bowl, mat, pet ID tag, plastic disposable bags (for picking up droppings), puppy pads and dog walking maps. The kit will also contain a door hanger (Pluto themed) to let the hotel staff know that there’s a pet inside the room. Housekeeping will only come in when guests are present, so the door hanger should be put up whenever you leave the dog alone in the room. These resorts will be adding some pet supplies to their gift shops. The dogs are expected to be vaccinated, and they’ll be required to be leashed in public at all times. They’ll also be expected to be well-behaved throughout their stays. This includes silence. If a dog is heard barking consistently, the owner will be contacted within 30 minutes to deal with it. Disney says that pets are not allowed on the furniture in public areas. Disney is requiring that dogs not be left any longer than 7 hours in their rooms unattended. 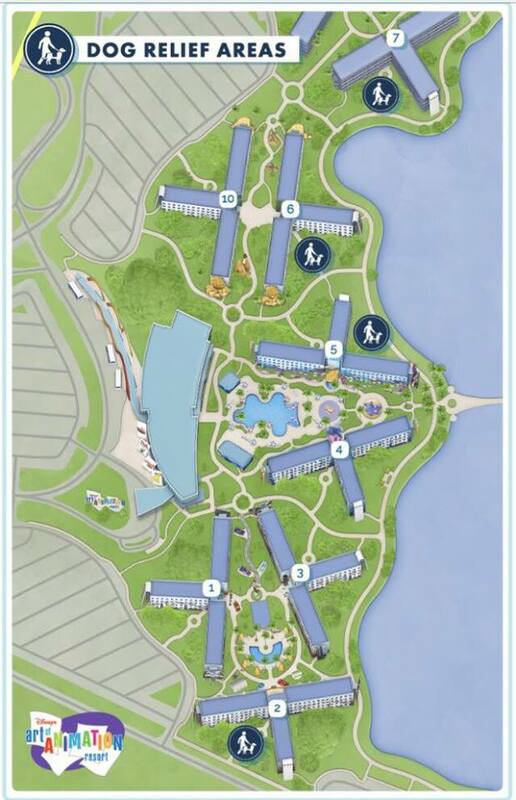 This will mean that you’ll have to split up your park days and come back to your room to attend to your pet. Another option is to leave the dog in doggie day care at Best Friends Pet Care, which is on property and available for a fee. Only licensed service animals will be allowed in restaurants and any food & beverage locations, pool areas, fitness centers, and any other public guest areas. Your pet will pretty much be restricted to the room and the permitted walking areas. Pets are permitted on some Disney transportation including Minnie Vans and Magical Express, but must be in a pet carrier. Pets are not allowed on the other public transportation like boats and monorail. Naturally service animals are permitted on all transportation. Only licensed service animals can be in the Disney parks or Disney Springs. 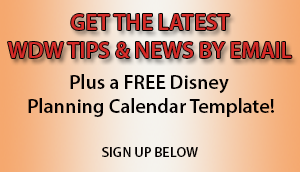 For more information on this, call 407-W-DISNEY, and DVC members should contact Member Services at 800-800-9800. In our Facebook group called Walt Disney World Made Easy for Everyone, there hasn’t been a ton of feedback, but there has been some. From what we’ve seen, it hasn’t been positive. With Disney’s rule that you can not leave the dog alone for longer than 7 hours, you’ll need to leave the park early and return to tend to your dog. Your schedule will revolve around your pet, who will be alone in a strange room most of the time. We most often see people saying that they won’t do it again. If your experience was different, please tell us about it below. Have you found a resort to be really convenient or not so convenient? 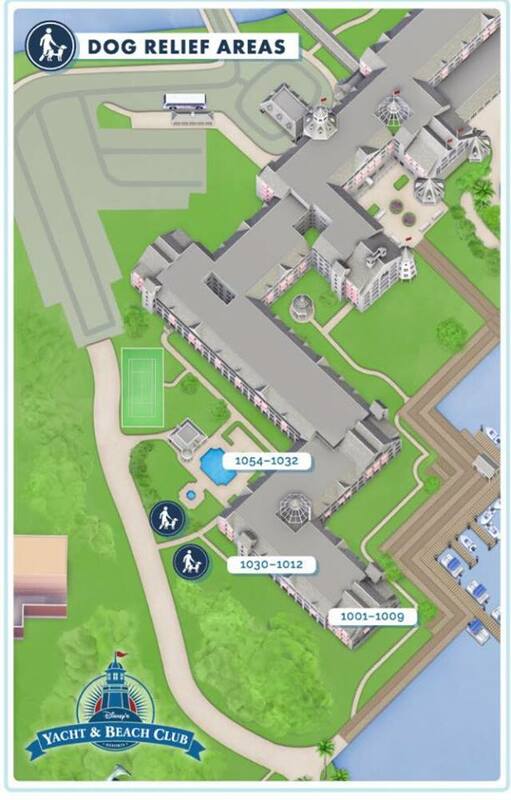 Do you have resort location tips? Please feel free to post them in the comment section below. We’d love your input. For anyone with severe animal allergies, please know that service dogs are allowed in ANY room at ANY hotel. So, just because a room is designated as “pet-free” doesn’t mean that a dog hasn’t been in the room.